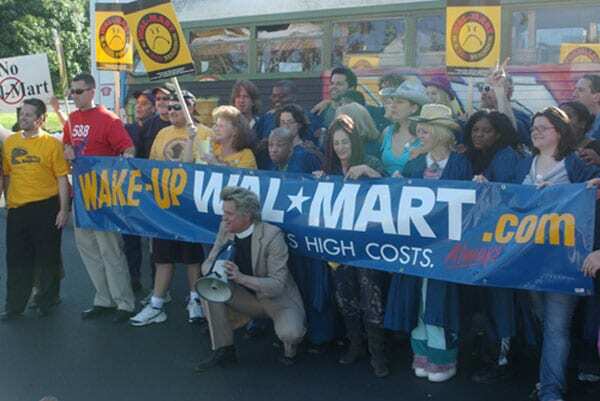 A Wage Justice Strategy: Will Sanders Bill Lead Walmart to Raise Its Base Pay? November 17, 2018; Washington Post and Inc.
Last Thursday, Senator Bernie Sanders (I-VT) and Representative Ro Khanna (D-CA) introduced a bill that, as Jeff Stein details in the Washington Post, encourages large employers to raise worker wages to $15 an hour. The legislation, Stein writes, “would bar big corporations from buying their own stock—a move that rewards shareholders—unless they pay all employees $15 an hour, provide them seven days of sick leave, and prevent CEO compensation from rising more than 150 times above median employee pay.” The full text of the proposed legislation is available here, and the senator’s office also offers a one-page summary. Raising Walmart wages to pay all workers at least $15 an hour would cost the company $3.8 billion, according to Ken Jacobs, chair of the University of California at Berkeley Labor Center. The $3.8 billion, notes Stein, is considerably less than the $10 billion a year Walmart has dedicated to buying back its own stock from shareholders. “Overall, the cost to Walmart of doing this would be a tiny, tiny fraction of their revenues, while its impact on workers’ lives would be huge,” says Jacobs. Roosevelt Institute economist Lenore Palladino makes some additional observations. If $10 billion were distributed to workers in wages, pay could be $5.66 an hour higher per employee. Or, if $10 billion were given to workers in stock, each employee would get 113 shares. Over the past 12 months, Walmart’s stock price has fluctuated between $82 and $110 a share. Even at $90 a share, 113 shares would work out to over $10,000 per employee. This extractive behavior is exacerbated by the fact that corporate executives are largely compensated in stock themselves…shareholder primacy has, among other things, resulted in workers being understood by corporate executives as a cost to be cut, rather than being considered as an essential part of the value-creation process and as stakeholders who should be able to bargain for a living wage that is commensurate with the value they create.